The pub crawl shirts are in, and they’re looking pretty slick! 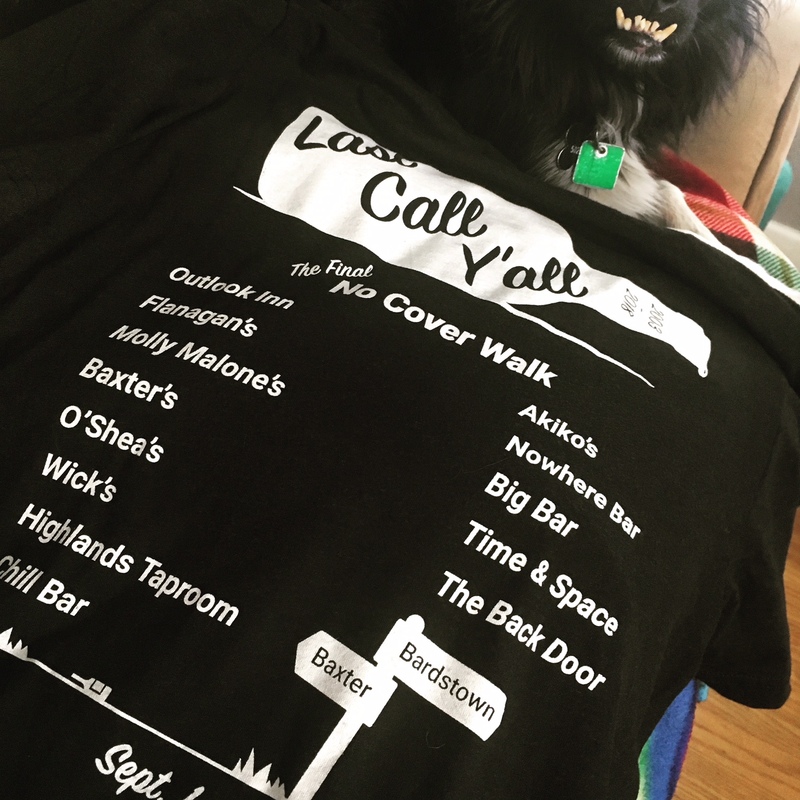 I’m guessing you already know the details, but if not, the final Gettin’ Drunky in Kentucky Pub Crawl is Saturday, Sept. 1, at 7 p.m. at Outlook Inn. You have three chances to get a shirt — but you don’t need one to join the crawl. First up on Thursday, Aug. 23, will be a sale at The Back Door from 5:30-6:30 p.m. Then, it’s Sunday, Aug. 26, at Big Bar from 2:30-4 p.m. And finally, it’s Wednesday, Aug. 29, at Outlook Inn from 5:30-7 p.m.
Supplies are limited, so if you want one, come and get one.